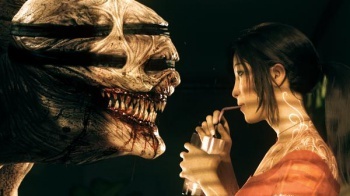 The Secret World's poor sales may be the end of Funcom as we know it. Despite praise from some quarters, Funcom's The Secret World is a dud. Though over 500,000 players signed up for the game's open beta, only 200,000 consumers have purchased the game since it was released two months ago. Add in the typical subscriber exodus MMOs see following their first month, and Funcom is looking at subscriber numbers way below its expectations. Naturally, it blames Metacritic for the game's poor performance. The Secret World's commercial failure and the declining revenues from Age of Conan are hitting the Norwegian developer hard. Hard enough to push it out of the traditional MMO business. Amidst huge staff layoffs, Funcom has announced that it'll now focus on smaller games with shorter development cycles (The Secret World lived in development limbo for nearly 10 years) and less upfront investments. It also wants to create more interactive, player-driven games, and cites examples like League of Legends, World of Tanks, Minecraft. Its first foray into smaller online games will be a free-to-play title on based on LEGO's Minifigures Toys. The change in direction also comes with more fiscal belt-tightening. Nearly half of the developer's staff have either been laid off or re-purposed, and CEO and president Trond Arne Aas stepped down in July, leaving COO, Ole Schreiener, to take up the position. Coincidentally, several senior level executives, including Aas, began selling off their shares earlier this month. Shortly after, the company's share price tanked. In other news: players are still waiting for The Longest Journey 3.